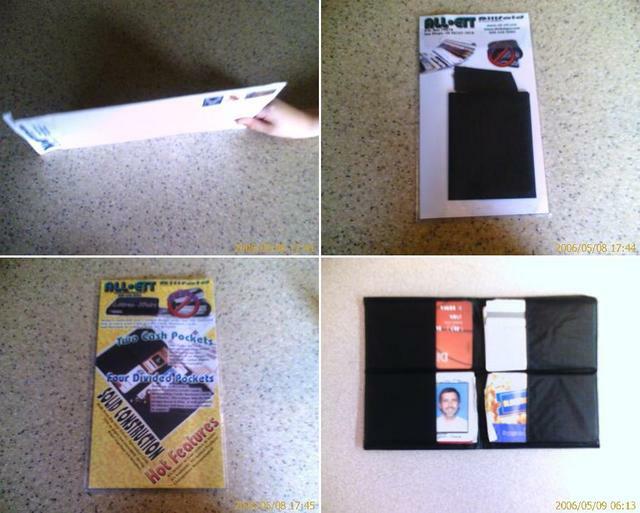 Last week I did a post titled No More Fat Wallet Butts subtitled world's thinnest wallet. Yesterday, I received a white envelope in the mail that honest to god looked like typical junk mail that seems to flood my mailbox on a daily bases. It was thin; in fact it was so thin that I thought that they forgot to mail the wallet. After I moved all my wallet contents (over 24 items: drivers license, ATM, credit cards, membership cards, business cards, etc and cash – mostly one’s – how sad.) into my new wallet and the wallet remained thin. 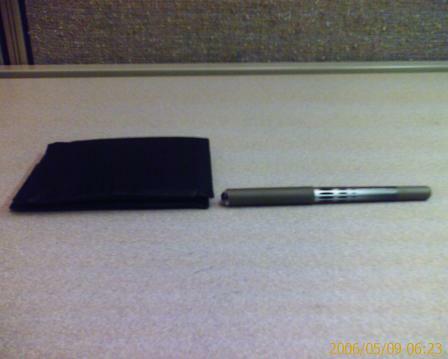 The picture below is taken with the wallet full setting next to a uni-ball pen. The wallet is thinner it’s even thinner then my old empty leather wallet. The Billfold is made of spinnaker sailcloth which is a high-grade rip-stop nylon used for the large parachute sails on sail boats.